ALOHA is an unique learning method that can surely develop total brain for children Aged between 6 and 14. ALOHA Bangladesh is the first company to bringinternationally recognized and accepted total development program for children. ALOHA is the kind of program that immensely enhances the total brain for children that carries out side by side with regular school syllabus, which facilitates the academic education for student and consequently assures tremendous performance in every subject in school. ALOHA Abacus and Mental arithmetic program had started its journey in Malaysia at the beginning of 1993. This unique learning system has brought an amazing attainment for the teachers and guardians of world overWatch ALOHA Students Demonstration. ALOHA is an unique learning method that can surely develop total brain for children Aged between 6 and 14. ALOHA Bangladesh is the first company to bring internationally recognized and accepted total development program for children. ALOHA is the kind of program that immensely enhances the total brain for children that carries out side by side with regular school syllabus, which facilitates the academic education for student and consequently assures tremendous performance in every subject in school. 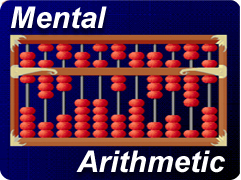 ALOHA Abacus and Mental arithmetic program had started its journey in Malaysia at the beginning of 1993. This unique learning system has brought an amazing attainment for the teachers and guardians of world over. By learning this distinctive method, children can solve complex arithmetical problems with utmost speed and accuracy. Abacus learning method is scientifically accepted and proven that the completion of abacus learning of mental calculation stimulates both the right and left side of the brain resulting in total development of children’s mental faculty.ALOHA stepped into Bangladesh in March 11, 2006. in the meantime , this learning method has been able to generate remarkable inclination among the guardians and the teachers of many different renowned schools in the country.